Project Brief: The National Association for the Blind seeks to offer retreat accommodation in a forest setting for visually impaired children. The accommodation is part of a broader scheme which will include sports facilities, a social centre etc. 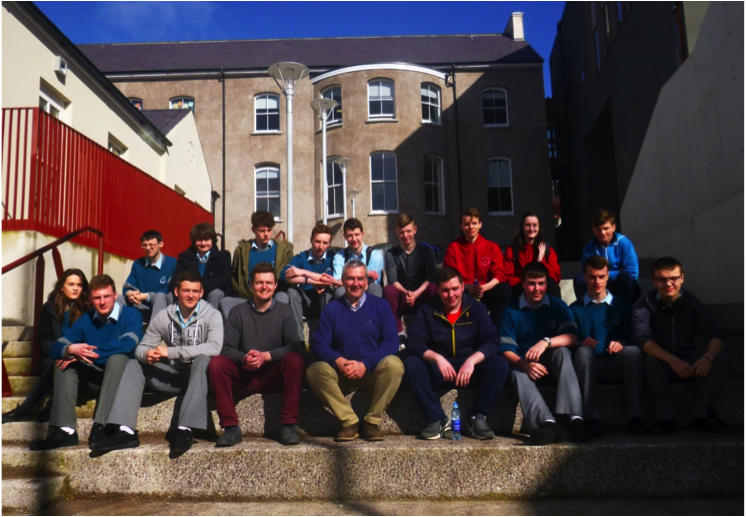 The ages of the children utilising the accommodation will be from 11-16. The National Association for the Blind seek to commission you to design 12 Retreat Lodges element of the scheme. Each lodge or living pod is to accommodate two people. The children will come from across Europe for retreat weeks to the centre. The children may have a guide dog depending on the level of their visual impairment. It is envisaged that the children will stay in the pods for up to 2 weeks at a time. The pods will be used all year round. Each pod will have independent access, which will be served by a path through the forest. 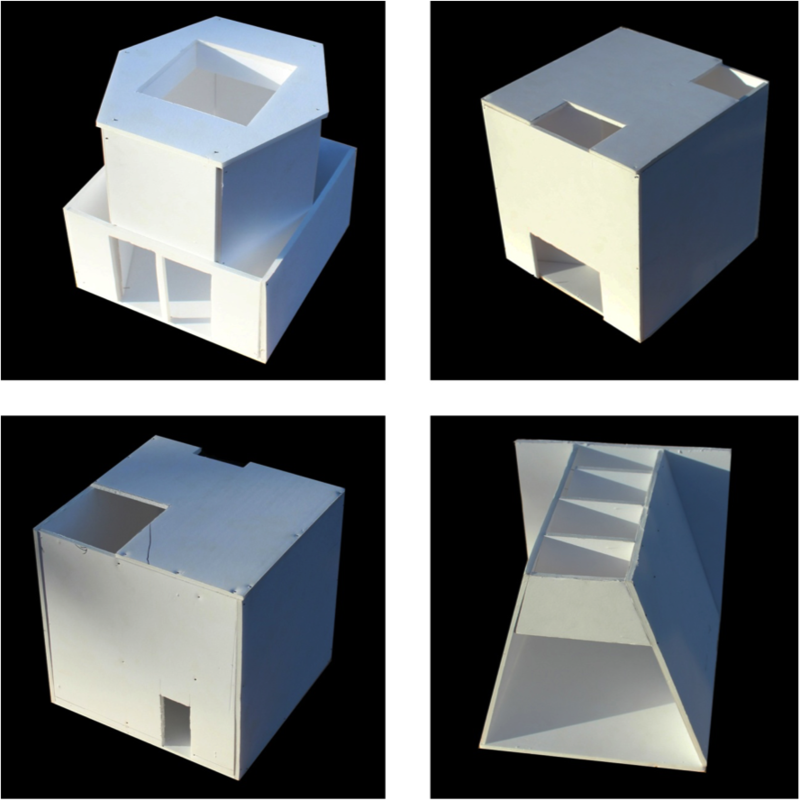 Each lodge (living unit) is to be designed to the highest architectural standards. Consideration must be given to make the furniture and internal spaces user friendly for the end user. 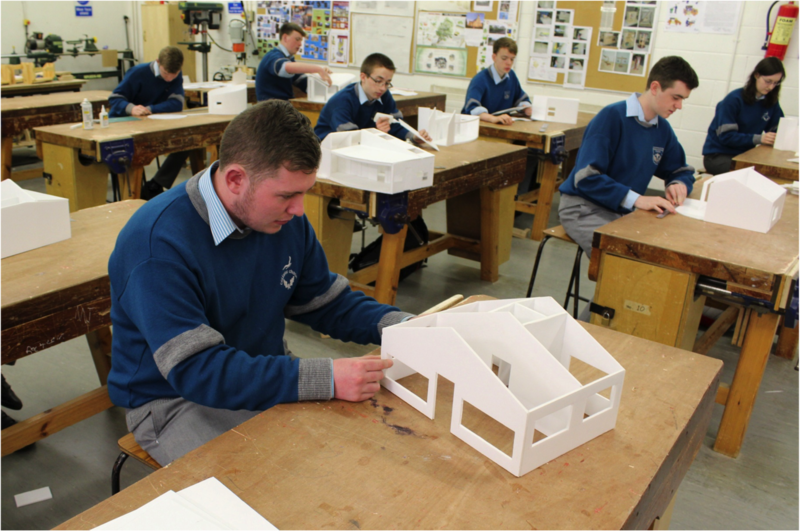 It is incredibly rewarding setting and teaching the architecture course in collaboration with the construction studies teacher, Danny Moynihan. 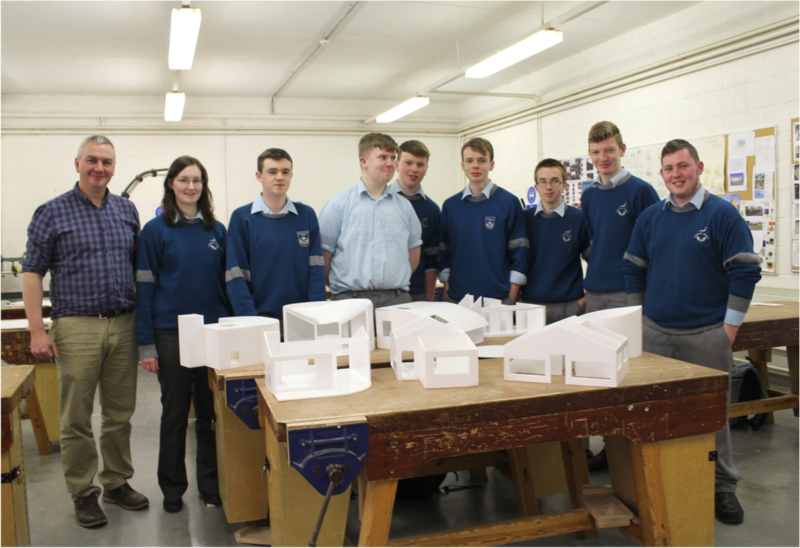 The project offers as a means to share and explore architectural ideas with the Transition Year students. The inhibitions the students have in tackling design problems, trying new things and their willingness to learn is very refreshing. It is extremely gratifying to see what the students have learnt from the course being applied in a practical way through the final projects. I really found “Shaping Space” to be a great eye-opener. 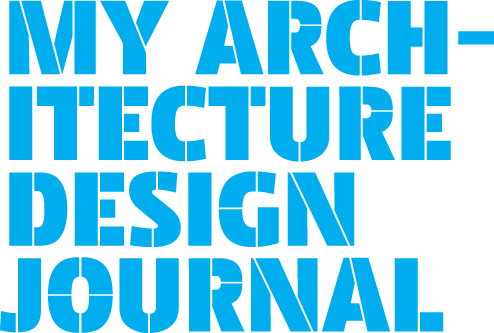 I feel it gave me great hands on experience in the architectural field. The insight I received from having an architect in class, sharing his vast experience, was very beneficial. 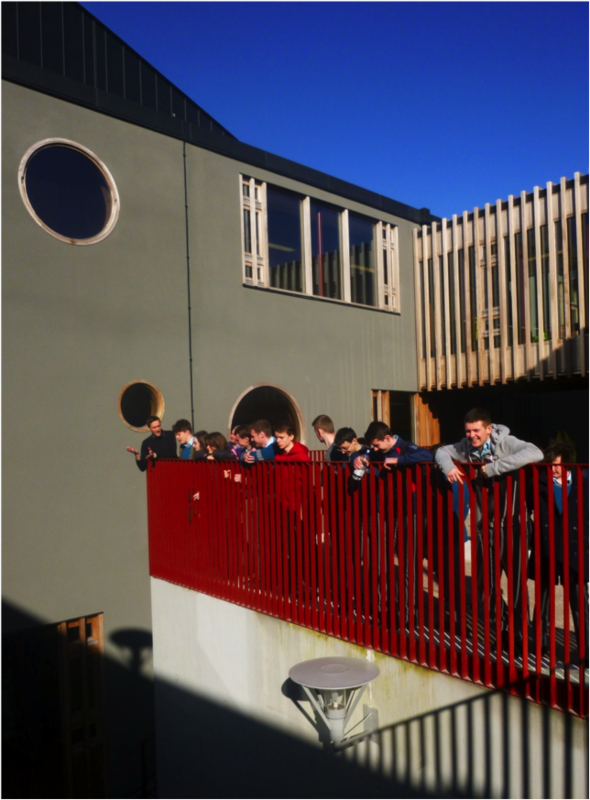 The projects really helped me to learn more about how architects design buildings and the different aspects they have to take into consideration, such as lighting and space requirements. Architecture is definitely a career I would consider pursuing as a result of this experience. 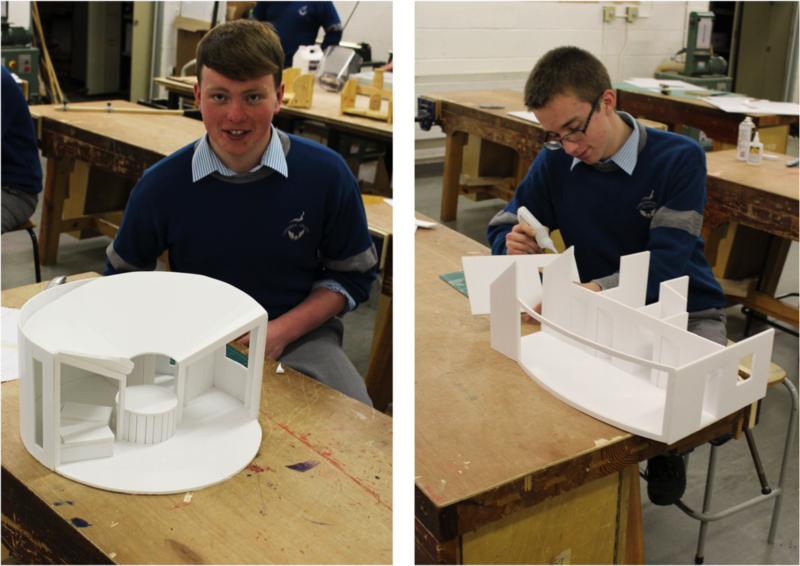 I found the shaping space module engaging and it enabled me to combine my own creativity with practical skills. After studying famous architects, from which we gained inspiration, we put our ideas into physical form. During this process I personally learned how to work independently and how to problem solve. I also learned to take in the finer details in buildings and everyday objects which I previously would have missed. After completing this module I can say that I have a better understanding of how light and space interact along with better methods of how to convey my ideas which I think will serve me well in later life.